Dr. Karen Jordan, DVM, CVA - "Your Visiting Vet"
Dr. Karen Jordan (Dr. J) is a small animal veterinarian and the owner of Compassionate Care Veterinary Service. She and her team provide quality and experienced veterinary house call services to your four-legged children. Dr. J always knew that she would become a veterinarian and now strives to improve the human-animal bond. She treats each animal as if it was her own and only wishes to provide the very best medical and preventive care. 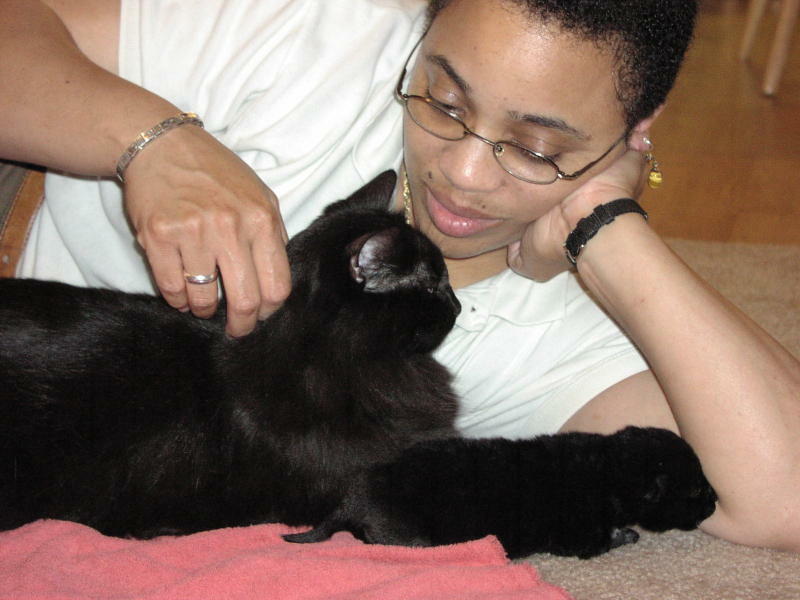 Dr. J graduated from Tuskegee University School of Veterinary Medicine in 1996 and completed her internship in Small Animal Medicine and Surgery at the University of Tennessee in 1997. Dr. J also received her certification in Veterinary Acupuncture from the Chi Institute in Reddick, FL. which sets her apart in providing specialized services to her clientele. In her spare time Dr.J enjoy's painting, being in nature and caring for her many rescued pet-children including Three dogs (MJ Puppy, Ricky, and Silky), Five cats (Persey,Toosie,Wilson,Moggy, and Jazz) and many wild animals that visit her 5 acre property.